Simple, sensitive, selective, and field-deployable tools are highly desired for the detection of molecular signatures of life. 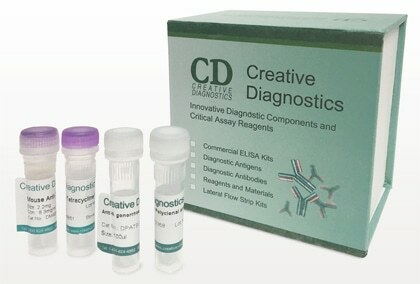 Immunoassays such as enzyme-linked immunosorbent assays (ELISA) have the potential to become an alternative or a complementary method to traditional techniques such as GC–MS or pyrolysis-MS, because they have proven to be fast, sensitive and cost-effective tools for detecting trace amounts of small hapten molecules, like a number of pesticides, in terrestrial applications. The initial step in the development of an immunoassay is the production of specific antibodies, but for small molecules that seldom stimulate an immune response (haptens) it is necessary to design appropriate chemical structures which can be covalently coupled to a carrier protein and presented to the animal’s immune system. The structure of the conjugate that will be used as an immunogen can affect the characteristics of the resulting antibodies, as well as the sensitivity and specificity of the analytical method. Anti-hapten antibodies constitute attractive detection tools in the field of human health, for diagnostic and theranostic applications, but also in areas such as food safety and environmental monitoring.